March 25th in Themes For Video Bloggers by Wordpress Jedi . 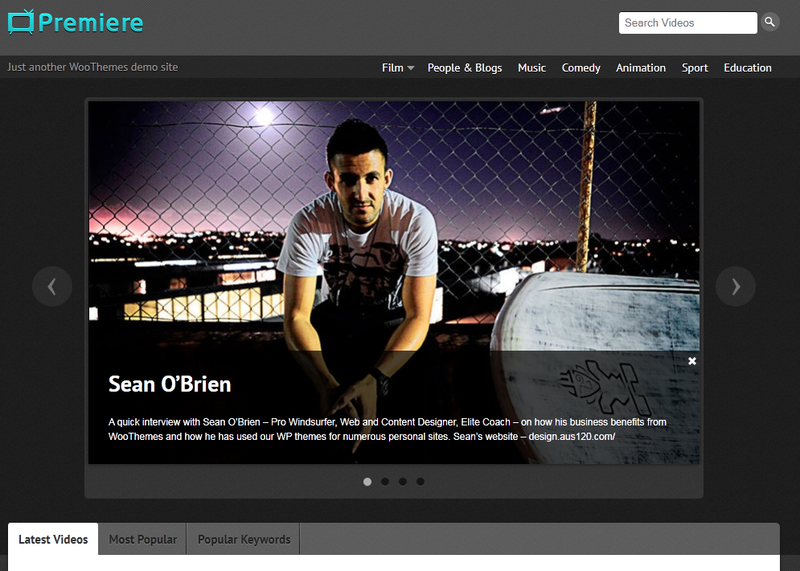 The folks at Press75 are responsible for some of the best video blogging themes available for the WordPress platforms. All their theme are highly customizable and come packed with tons of features. 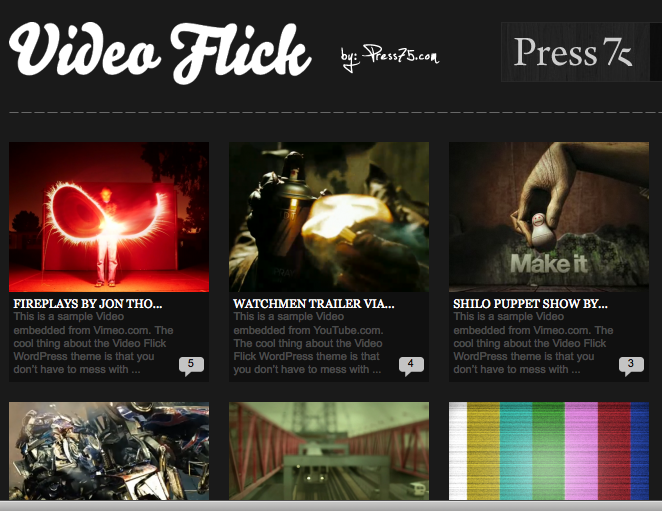 The latest theme for vloggers is VideoFlick 2.0. VideoFlick 2.0 has gone through dramatic changes that makes it a more attractive choice for vloggers. Let’s see what’s inside. 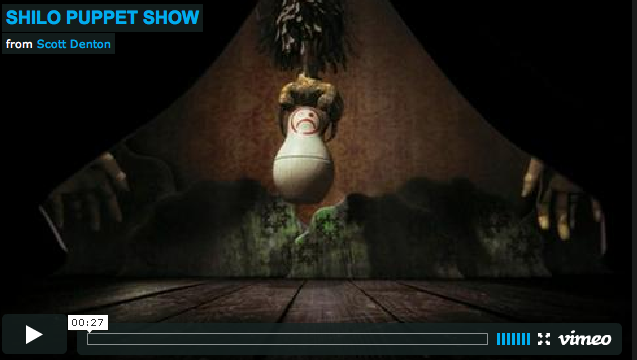 Video Flick comes in two flavors: dark, and light. You can change your themes settings easily on the backend without doing too much work. The theme is highly customizable as well. The logo can be changed easily. You can add ratings below each video (if you prefer). 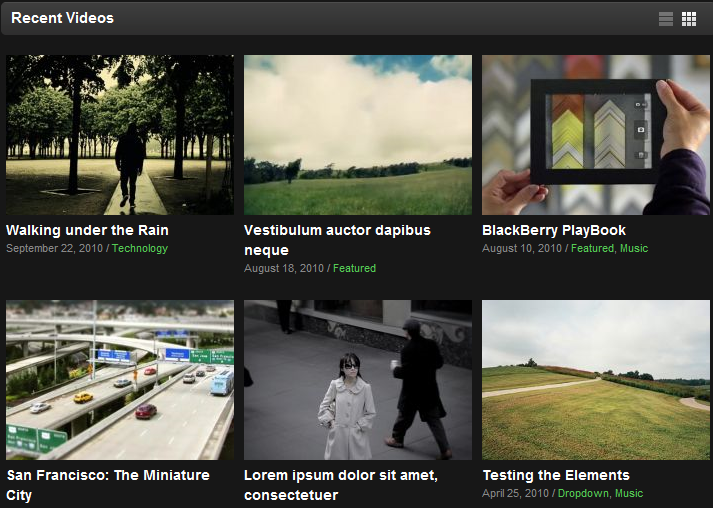 As you can see in the above image, your home-page comes with your posts and their associated thumbnails. Thumbnails can be easily added through a custom-field in the back-end. 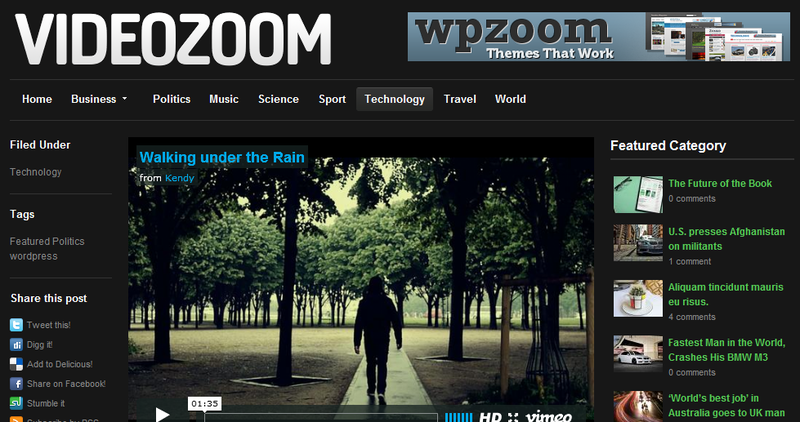 The theme has been updated to support threaded comments and other WP 2.7 exclusive features. Video Flick 2.0 supports a number of services and formats including Vimeo.com, YouTube.com, MetaCafe.com, Revver.com, Google Video, Seesmic.com and FLV (Flash Video), and the designer is planning to support many more formats in the near future. 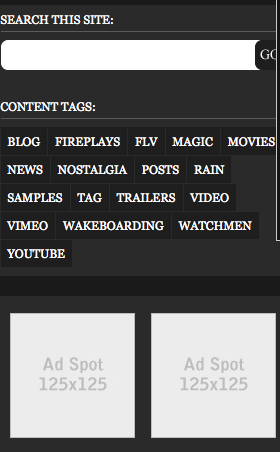 On your sidebar, you have your tags and you ad spots. You can easily update them in the back-end. 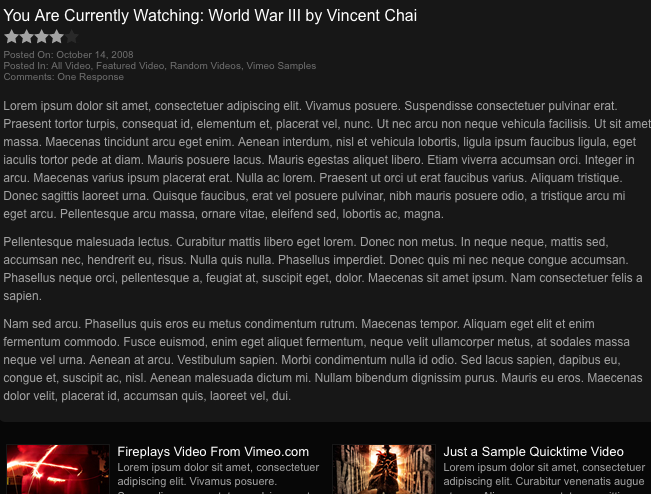 You also have a section for featured videos on your sidebar. So you’ll have plenty of opportunities to promote your top videos. What I like about Video Flick 2.0 is the fact that it’s very easy to customize, and it can handle videos of all sizes. And it doesn’t hurt that it’s compatible with many video services. 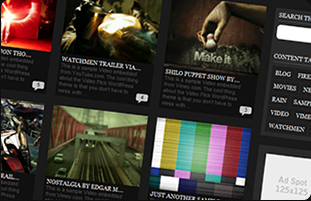 The theme is tailor-made for vloggers, which is why most of the features revolve around videos. The theme is going to cost you $75, which is very cheap for a such high quality theme. If you need more than one license, you may want to go for the unlimited package that gives you 5 additional cool themes + unlimited license for all of them. Either way, you can’t go wrong.